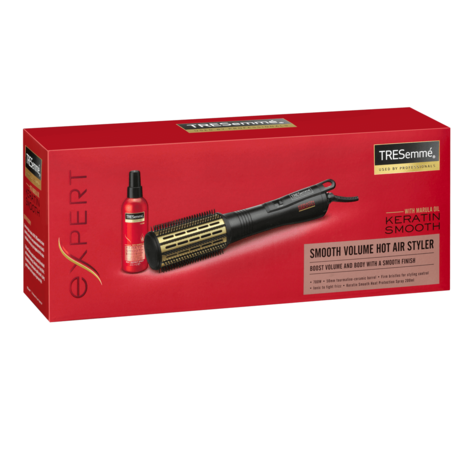 The TRESemme Keratin Smooth, Smooth Volume Hot Air Styler has a 50mm tourmaline-ceramic barrel and firm bristles to boost volume and body and leave hair with a smooth finish. The frizz-control ionic technology produces a stream of negative ions which act to neutralise static charge, smoothing the hairs cuticle for shiny, smooth and manageable hair. 3 heat settings allow you to choose the setting that best suits your hair type and the style you want to achieve with a cool setting to set your style for long-lasting hold. 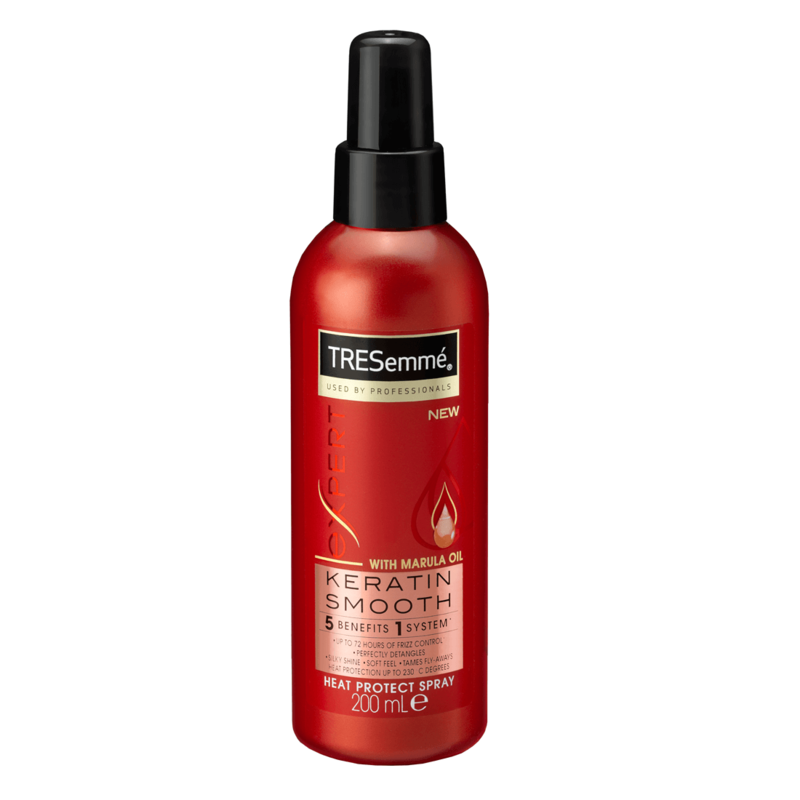 The Keratin Smooth Heat Protectin Shine Spray provides heat protection up to 230C, helps control frizz and leaves hair looking shiny and smooth. 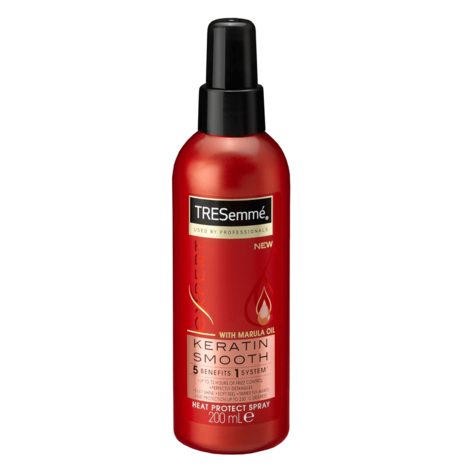 TRESemme is dedicated to creating cutting-edge salon quality haircare and styling products. 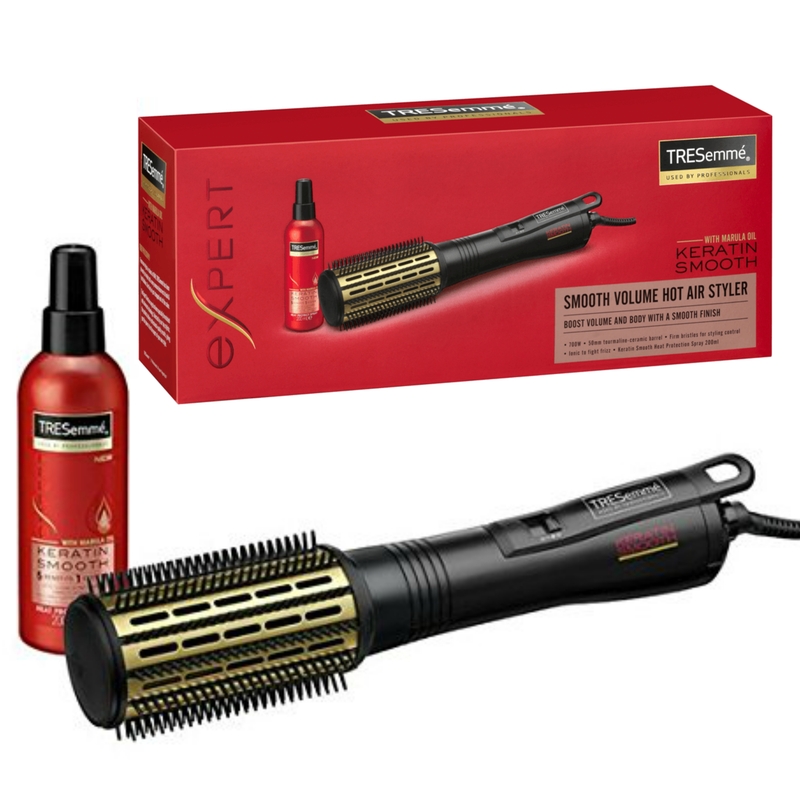 Salon inspired, stylist, tested, to you create your own style and experience that salon feeling every day. 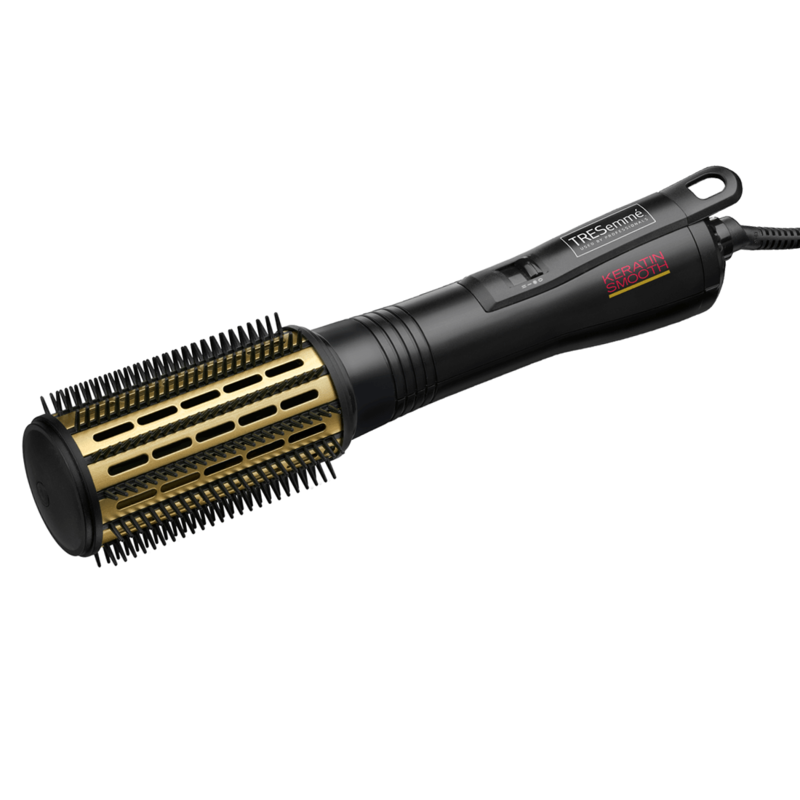 release, slide the filter towards the cord, then using a soft brush, clean away any hair and debris from the filter. To replace the filter, align the grooves and turn clockwise until it locks back into position. Thisitem is classified as a HYGIENE item and can not be resold afteruse. Thisitem may require an adaptor to fit the electricity supply socketincountries outside of the UK.